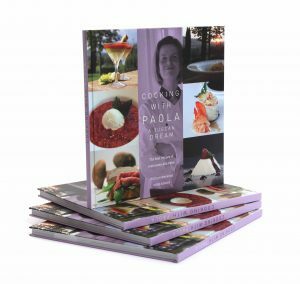 Wellbeing, Food experiences, Healthiness and an approach to the ingredients with the most utmost respect, are the DNA of contemporary cuisine that is rooted in tradition and in the concepts of lightness, depth of flavors and finesse – finding their perfect synthesis in the book „Cooking with Paola“. 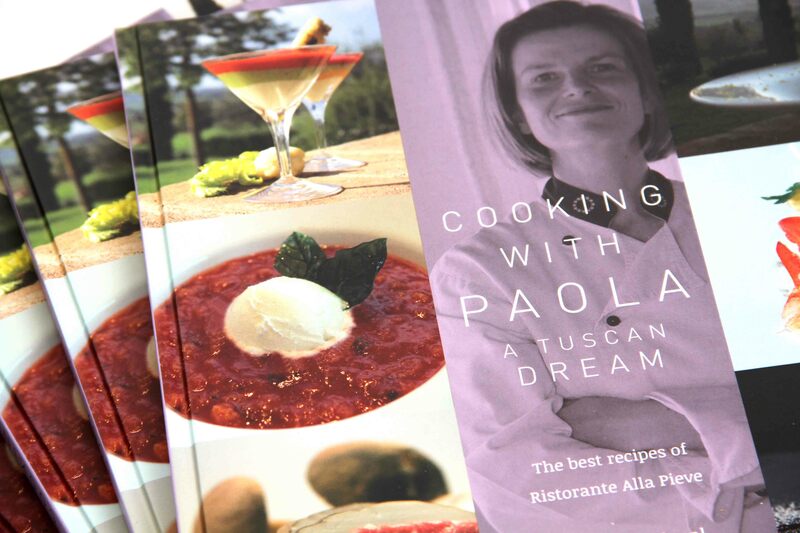 Developed and created in over 10 years of experience as Executive Chef at the Ristorante Alla Pieve in the hillsides around Siena, they casually cross national boundaries and are fusing and linking to the Tuscan territory. The collection, with precise instructions and descriptions step by step, is enriched with information, tips to extend or modify the recipes themselves and curiosities about the products. The wine pairing advices were selected by Sommelier Villiam Campani, already awarded in 1994 with the Grand Award from Wine Spectator magazine as editor of one of the best wine cellars in Europe. The carefully chosen wines are available at CultoDiVino.com wine store located inside the restaurant.